The V12 Vineyards Estate, located on western facing slopes on the east side of the Napa Valley, is situated adjacent to many premium, famed and long-established Cabernet Sauvignon vineyards where the sun rises just above the Stags Leap Appellation. Jimmy Vasser saw great potential when he purchased the rugged property in 2001. With purpose and respect for the land, Jimmy, along with Estate Manager Davie Piňa, set out to transform the former chicken ranch into a world-class winegrowing estate. This is, quite simply, a perfect place for growing grapes. Because the V12 Vineyards Estate sits above the fog line, the growing vines benefit from early morning sun, as well as radiant warmth from the valley floor that blankets the vines and keeps temperatures mild at night. These natural conditions result in grapes that evolve into complex, deeply intense wines with desired acidity, a plush mouthfeel and pleasing tannic structure. optimize the natural conditions before the team went in with dynamite to move the surface rock and make room for some vines. The rock was moved to a lower portion of the property, which actually elevated that section and provides natural and desirable vineyard drainage. 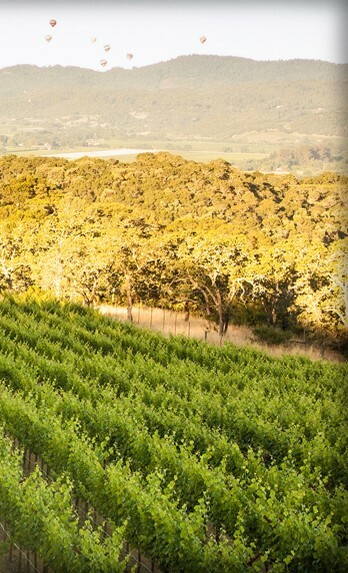 There were many obstacles when developing the estate, "We invested in building the infrastructure of the estate early on," says Vasser, "We wanted to plant the absolute best vineyard possible." Eventually four exceptional 2-acre sites were selected and planted primarily to Cabernet Sauvignon, with a small quantity of Malbec and Petit Verdot added to the site. There are 4 vineyard blocks, with 4 clones planted on 4 different rootstocks. In total, just 8 of the 45 acres on the estate have been planted to vines. The sum total of the blocks, clones and rootstocks equals 12, a serendipitous nod to Jimmy Vasser's racing number.